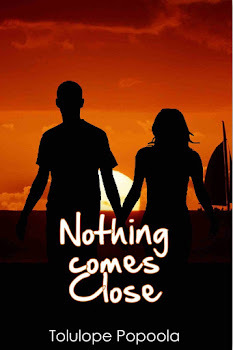 On Writing and Life: Book Giveaway for November! My writer friends and I are pleased to present the Naija Sister Writers Giveaway! 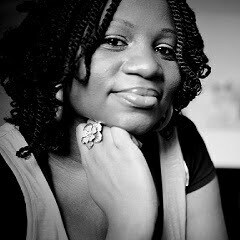 One very blessed reader will be able to win not one, but four great books written by four Nigerian female writers. All the books are paperbacks (not e-books) signed by the authors and they will be shipped to you directly! If this sounds too-good-to-miss (because it is), then read on, and click to enter the contest! The contest is open to all regardless of country of residence, throughout the month of November 2013. Please note that contestants are required to complete all steps in this giveaway. By entering this giveaway, contestants agree to abide by the picture requirement. Please note that the winner will be required to send a picture of the gift package when received. 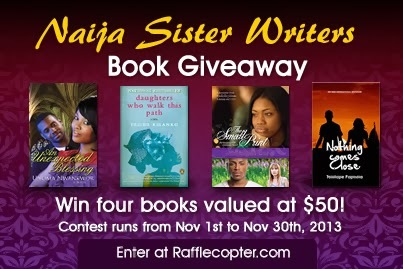 By submitting your picture to the NAIJA SISTER WRITERS giveaway, you agree to allow your image to be used for marketing purposes by the contest sponsors. Please enter using the entry box at the bottom of the page. Thank you for entering the competition and all the best!